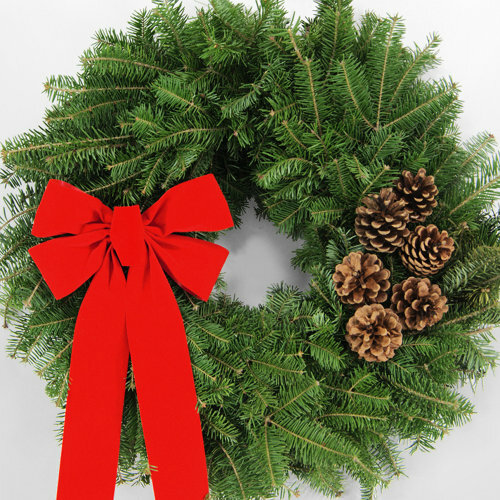 Order Maine Christmas trees and balsam holiday wreaths online from Sunrise County Evergreens and have them delivered directly to your door in time to celebrate the holidays. 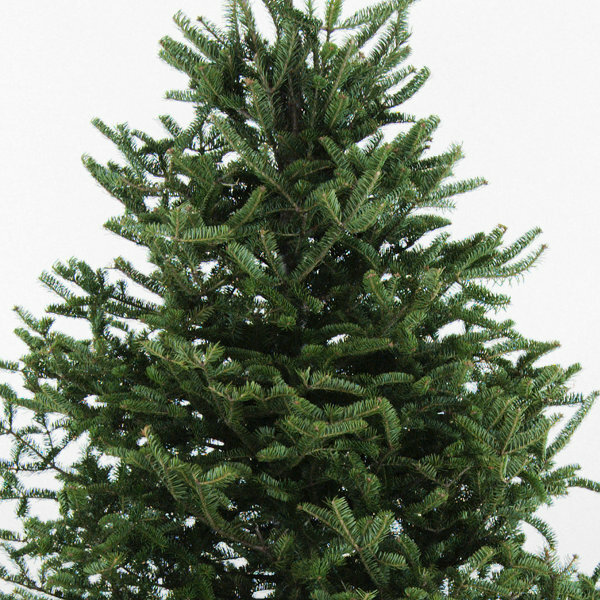 We offer only live Christmas wreaths and live Christmas trees of balsam fir. No artificial products. 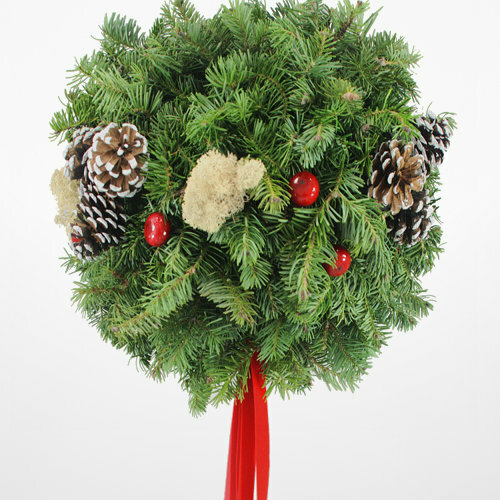 Decorate your home or office this holiday season with fresh Balsam wreaths and products from the North woods. 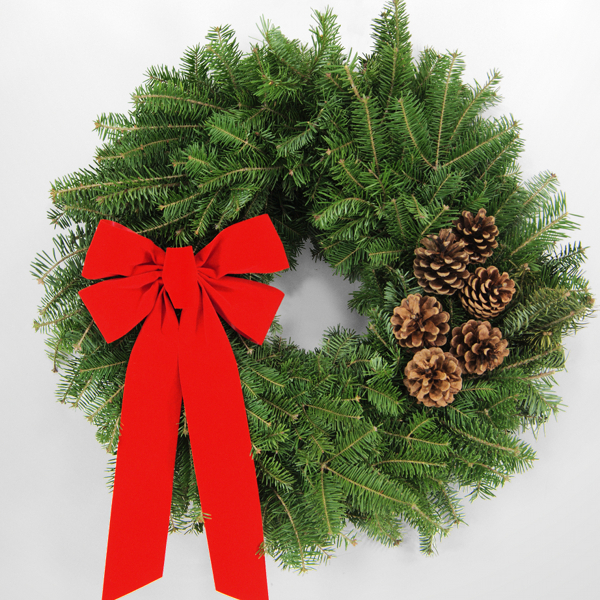 Balsam fir Christmas wreaths make a fragrant, colorful decoration for your front door. The scent of a real live fresh-cut balsam Christmas tree from Maine cannot be matched. 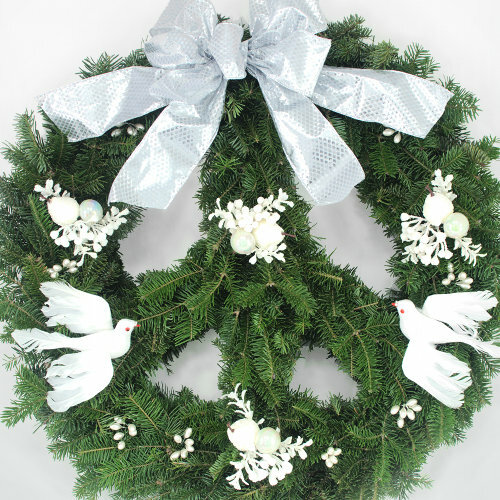 Or choose a colorful holiday wreath or tabletop centerpiece decoration--all hand-made with fragrant Balsam evergreens. 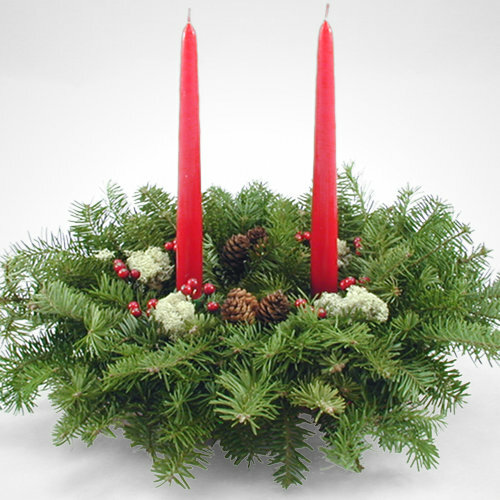 Our Advent Wreath centerpiece with Advent candles or our new Traditional Centerpiece make lively additions to the holiday table. 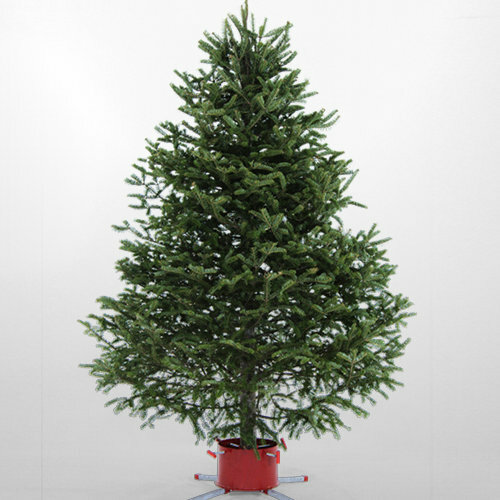 Balsam fir is a great Christmas gift. Fresh Balsam Fir makes a beautiful gift for family or clients. Each evergreen is individually boxed and shipped directly from the Maine coast. Remember friends and loved ones during this holiday season. 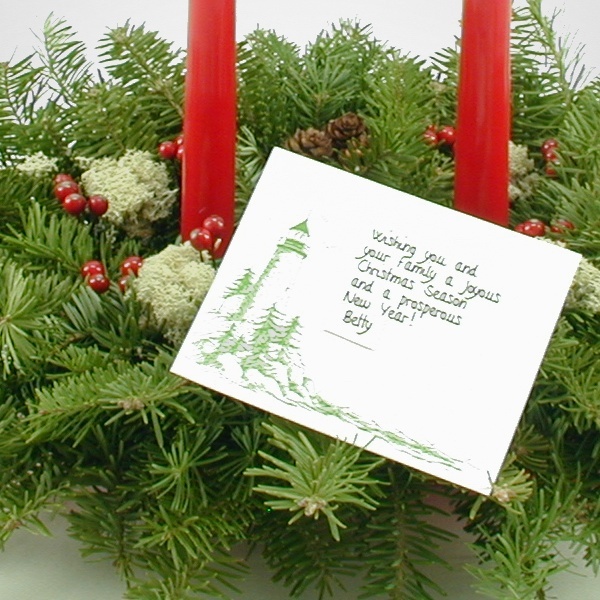 Include a personalized greeting with each Holiday tree, wreath or decoration.